Heading Think pink. 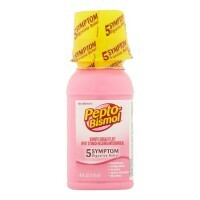 Think Pepto-Bismol. Directions Shake well before use. For accurate dosing, use dose cup. Adults and children 12 years and over: 1 dose (2 Tbsp or 30 mL) every 1/2 to 1 hour as needed. 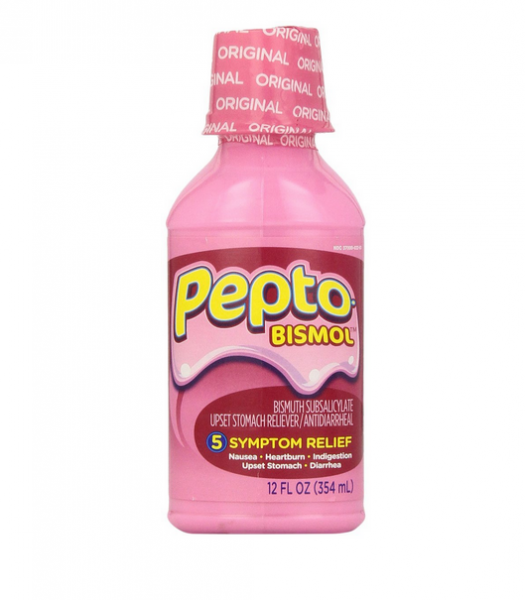 Do not exceed 8 doses (16 Tbsp or 240 mL) in 24 hours. Use until diarrhea stops but not more than 2 days. Children under 12 years: ask a doctor. Drink plenty of clear fluids to help prevent dehydration caused by diarrhea. Protect from freezing. Avoid excessive heat (over 104 degrees F or 40 degrees C). Uses Relieves: travelers' diarrhea, diarrhea, upset stomach due to overindulgence in food and drink, including: heartburn, indigestion, nausea, gas, belching. Low sodium. Sugar free. Warnings Reye's syndrome: Children and teenagers who have or are recovering from chicken pox or flu-like symptoms should not use this product. When using this product, if changes in behavior with nausea and vomiting occur, consult a doctor because these symptoms could be an early sign of Reye's syndrome, a rare but serious illness. 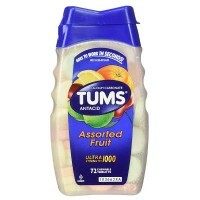 Allergy alert: Contains salicylate. Do not take if you are: allergic to salicylates (including aspirin); taking other salicylate products. 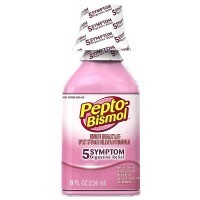 Do not use if you have: an ulcer, a bleeding problem, bloody or black stool. Ask a doctor before use if you have: fever, mucus in the stool. Ask a doctor or pharmacist before use if you are taking any drug for: anticoagulation (thinning the blood), diabetes, gout, arthritis. When using this product a temporary, but harmless, darkening of the stool and/or tongue may occur. Stop use and ask a doctor if: symptoms get worse; ringing in the ears or loss of hearing occurs; diarrhea lasts more than 2 days. If pregnant or breast-feeding, ask a health professional before use. Keep out of reach of children. In case of overdose, get medical help or contact a Poison Control Center right away.